Distilled water has no minerals in it, which can make the water taste odd and possibly awful if you've never tried it before. This might not seem like a concern as you stock bottles of distilled water in your emergency supplies -- you probably think you can drink anything for a few days in an emergency as long as the water is safe -- but if your normal water supply is cut off or contaminated, the weird-tasting water could begin to get on your nerves. Making distilled water drinkable is very simple. Pour 1 cup of water into a glass. If you are in a situation where you can drink out of the water bottle only, skip to Step 2. Add your choice of flavor enhancer to the water. 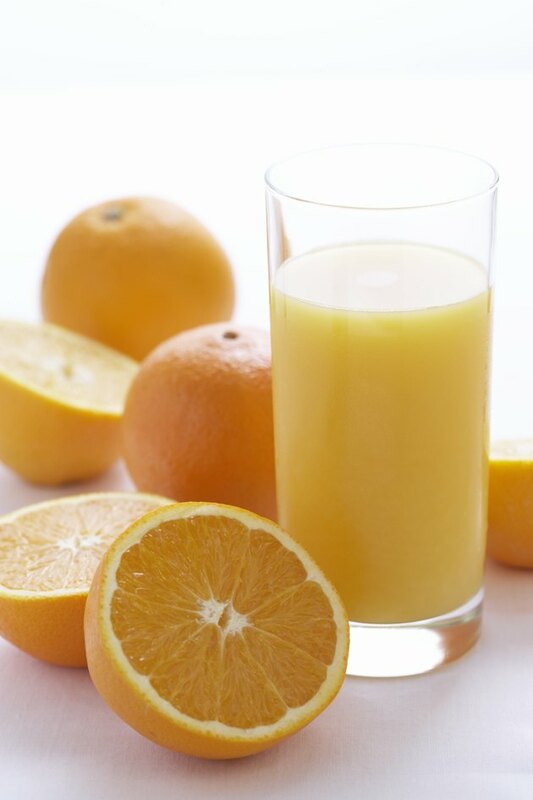 Lemon or orange slices may be all you need if the unpleasant taste is mild. Squeeze a little of the juice into the water if desired. Mixing 1/4 to 1/2 cup of fruit juice per 1 cup of water will give you a stronger fruit taste if you need more, or you can add a powdered drink mix. Taste the water to see if the flavor is better. Add more of the chosen flavoring in small amounts and keep tasting until you decide the water is to your liking. Keep track of how much you've added so you can replicate the taste the next time you want a drink of water. Multiply the amount of flavoring you added by the number of cups in the main container of water, if you want to flavor the water ahead of time. For example, if you have a 16-cup, or 1-gallon, bottle of water and you poured out only 1 cup of water in Step 1, that means you have 15 cups of water left in the bottle. If you mixed 1/4 cup of orange juice with the 1 cup of water, multiply 1/4 cup by 15 to get 3 3/4 cups of orange juice to mix in. You can also buy commercially available flavorings for water, although these, like the powdered drink mix, could be artificially flavored and contain more sugar than you’d like. Some health companies also sell mineral drops that you can add to increase the mineral content of the water. Follow the manufacturer’s directions on the package for the correct amount to add. Note that the container size will limit how much you actually add, so you might want to flavor the water cup by cup instead.